Gadgets are right up there, for both of us, though. And lucky for us, the Internet of Things (IoT) is sending runners into the garden everywhere we look. 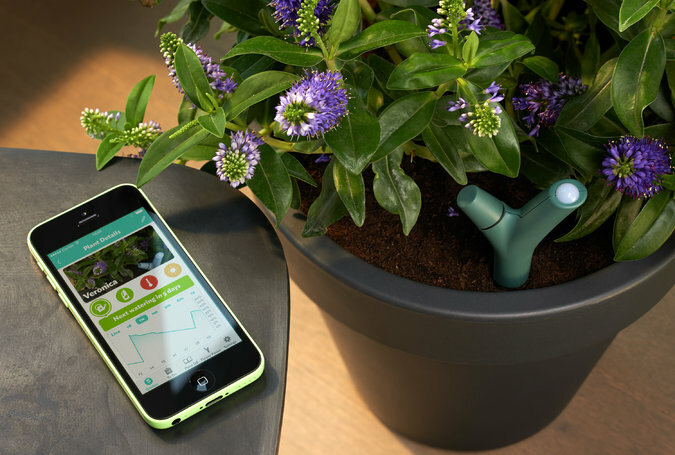 For the past couple years, we’ve been ogling plant sensors like Parrot’s Flower Power ($60) – a little WiFi-enabled twig that uses a database to determine whether your plants are getting enough moisture, sunlight, etc. and then sends text notifications to let you know that the raspberries are thirsty and the shade plants are getting too much sun. These sensors are novel, and might well be a very useful tool for the new (wealthy! – see $60 apiece) gardener trying to figure out what conditions each plant needs to thrive. 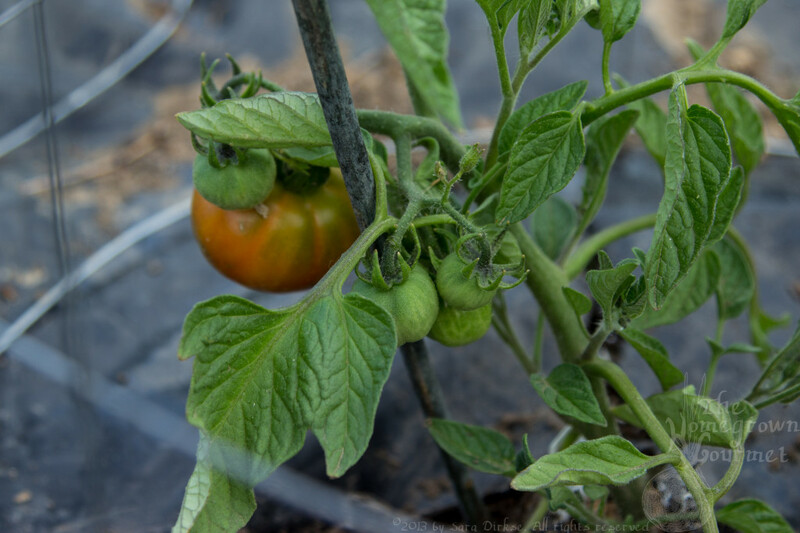 But I can tell when my tomatoes aren’t happy; I don’t need a text to remind me that they need water. What I do need is something that will take the guesswork out of my watering schedule and ensure that every plant gets exactly what it needs. I find watering to be the most difficult and frustrating part of my garden; even with soakers on an automatic timer there’s a lot of wasted water and time spent manually fine-tuning the watering schedule. For instance, shutting off valves between soakers every other day to ensure that the raspberries get enough water and the tomatoes don’t get too much (and then forgetting to turn the tomatoes back on until they start pouting). I need a system that will automatically water each plant in response to what’s happening in the skies and below the soil. Fortunately, garden gadgets are heading in exactly that direction. Another system, PlantLink ($79 for the system; $35 for each additional sensor), provides fewer metrics than Flower Power but works with optional smart valves ($65 each) for automatic irrigation control , adjusting the watering schedule on the fly in response to the current conditions and each plant’s specific needs. If lawns are your thing, there are also a handful of other companies offering connected sprinkler systems (Rachio, GreenIQ) that offer smartphone control, and which also change your watering schedule in response to the weather. But lately our eyes are on Edyn, a smart garden system that just achieved 300% of its Kickstarter goal (expected to start shipping in Spring 2015). Edyn’s smart garden system ($150 for each sensor/valve combo) consists of soil sensors and water valves designed by Yves Behar’s fuseproject – designers of FanTV (the sleek little set-top box coming soon to Time Warner Cable subscribers) and our beloved Jambox speaker. 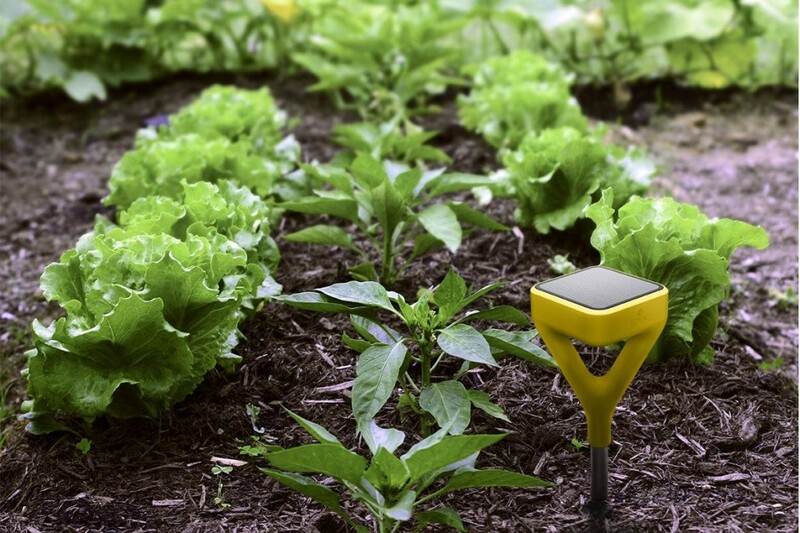 Edyn combines the best features of the other garden gadgets – smart sensors that track moisture and nutrients in the soil and sun exposure, coupled with information from weather, plant, and soil science databases. Edyn uses these factors to adapt the watering schedule for each of your plant varieties, and smart valves automatically open or close in response to the real-time water needs of your garden (or the touch of a button on your smartphone). The system also sends you text messages to let you know that the tomatoes need fertilizer, or that it skipped watering today because it’s about to rain, etc. While I don’t really like the part about being inundated by text messages (hopefully there’s a way to change alert settings), the premise of Edyn is really exciting stuff for any hobby gardener or small-scale farmer. If I can leave the watering to the cloud(s), my time can be spent on more satisfying work, like harvesting tomatoes and pulling bindweed. Which brings me to a final question: How long until we see a pattern-matching robot that will seek out and destroy weeds and common pests, like a Roomba for the garden? Sign us up for that Kickstarter.